Between 1953 and 1962 one thousand one hundred and ninety three shunters, based on a design by English Electric, were built at BR workshops at Crewe, Darlington, Derby, Doncaster and Horwich. They carried Nos.D3000 to D4192. The bulk of the class were renumbered during 1973/74 into the 08xxx series but some with design differences were renumbered in the 09xxx series. 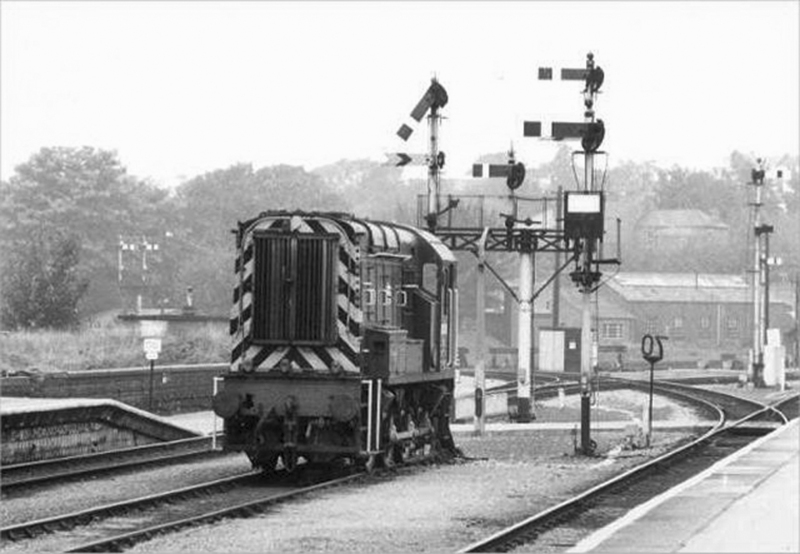 Examples of both classes worked from Worcester Depot and were the last traction units allocated to the shed. This far from ideal photograph was taken by Andrew Smith at Worcester Shrub Hill Station probably in 1967. It has historic interest for Worcester in that it shows class 08 diesel shunter No.D4118 in the 'down' bay platform at the Birmingham end of the station. This platform later became part of a staff car parking area. No.D4118 was the first class 08 shunter to arrive at Worcester. It was first observed by a MIAC member at Worcester on Sunday 12th January 1964. 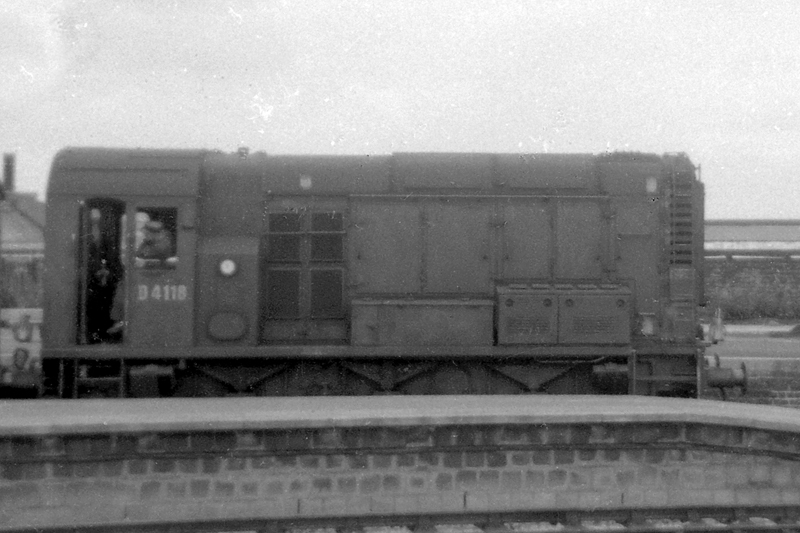 Very few class 08 shunters were ever allocated to Worcester and No.D4118 was the sole representative of this type at Worcester until 1966. Class 08 diesel shunter No.D3408 was stabled at the buffer stops on the central road at Worcester Shrub Hill Station when photographed by Adrian Booth on 27th September 1983. The former Goods or 'Washout' shed can be seen in the background.